Wow, that is an impressive list of books! What a great guy! I am not a reader, but they sound great. Hey, look at the Thread I found combing through the catacombs of Marriott Insiders. I actually read the book as part of my research for a film our group did down there - spooky stuff. I researched so much stuff on Castro that I'm sure a few of your pals we're tracking me . I didn't get to yours, but read your other spy thrillers; one, Scatteree, was handed out to the victorious bbob as our First Annual/Last Ever, New Year's Eve prize winner, identifying The Mighty Mo sandwich. Some business associates went to Cuba during the Obama administration with some of your competitors, the KGB boys, to check out possible business ventures, but found the environment not too 'user friendly', so we passed. Anyway, always one to promote a fellow Insiders' ventures; folks take a look at the Bibliography above of our esteemed novelist (Andy Reid gets into more trouble than yours truly on Insiders). My commission for doubling sales - one beer at Double Tipple . Gee thanks, erc. I was notified by our friends at Fort Meade that you've been busy. And not to worry, the taps are still active. Have you enjoyed your time with the Castro regime? Nice bunch of fellows, as long as you toe the line. The first mention of Anadyr was in an Agency document (yes, THAT Agency, years ago. No, I was not the author, but I worked with him. If Insiders had a redaction tool like WORD, I'd pass along the entire article. Ninety percent of the piece is blacked out, redacted, but it's fun to guess what's not there and what is. HInt: the first word is 'the' and the last word is 'done.' Hope that helps. Here's an unofficial history of Anadyr. There will be quiz! As we say in Cuba, "Nunca de rodillas; siempre de pie!" Can you point me to something definitive on the "sonic attacks?" Oh gosh, this one is indeed from the catacombs. In this example I stumbled upon the above post (most likely due to its wordiness, due to my inability to include the link in the title (thanks to pluto who cleaned it up and posted the bibliography) and since the Jack Ryan of Insiders had returned from his blogging hiatus, I tossed it up on the Big Board. You want spooky (pun intended)? 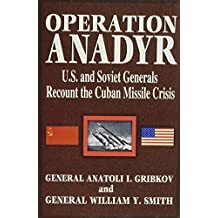 Browse through the link anadyr included above (unofficial history - because nothing in that world is official ). Holy cow. Having read three of anadyr's books, I sure enjoyed all of them! I had to read the Thank You Natalie post to realize you're back in the game (I was thinking this was an old post of yours and I, as often the case, was quite confused, as to why this thread updated ). Welcome back. 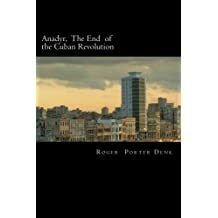 Waiting for Snow in Havana is a journalist/professor take on the Cuban revolution worth reading too. Re: What do you collect when you travel?